Lynxspring is pleased to announce that we will be demonstrating our latest edge-to-enterprise and IoT solutions at Haystack Connect 2017. The biennial Conference of the Project Haystack Organization is being held this year at the Saddlebrook Resort Tampa, May 8 through May 10, 2017. These solutions will be demonstrated in Lynxspring’s Booth # E11. Lynxspring is a founding member and holds a seat on the Board of Directors of Project Haystack, and is a Sponsor of the Haystack Connect 2017 Conference. Great stuff from Memoori. Our friend Therese Sullivan, from Building Context, turned us on to this great Smart Buildings Resourse. Here is the Audio Stream from our 4th Free Webinar in the 2017 Smart Buildings Series, sponsored by Project Haystack. Creating Transparency From Building Analytics. This was an in-depth Q&A Webinar with James Lee CEO & President of Cimetrics. We discus Jim’s recent article “Analytics Creates Transparency” and his thoughts on why he thinks analytics is the key that the industry has been waiting for to unlock the true business value from building technologies. 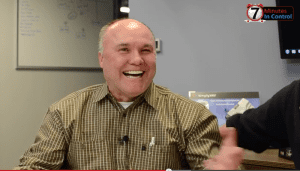 In this Q&A session with Jim, we discuss The impact of building analytics and BACnet . Analytics removes many of the complexities that we build into buildings. When implemented well, an analytics-powered building system allows owners and operators to focus on their needs; which is to provide occupants what they need. A natural and logical way forward for our industry is to see how analytics brings value to building owners and operators, after all, they are our customers. We are on the cusp of an industry transformation focusing on making occupants happy and content in their use of buildings, enabling building owners to see more value in what we do. Click here to get more including the slide presentation. 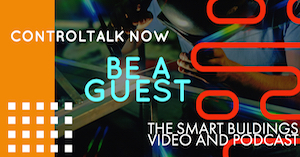 Episode 220: ControlTalk NOW — Smart Buildings VideoCast|PodCast for week ending Apr 2, 2017 features video coverage of the 2016 ControlTrends Awards Young Gun recipients and Belimo’s Award-winning Energy Valve. News of the Week: Roger Rebennack takes over as CEO at Jackson Controls; Honeywell releases WEBs-N4.2.36.38; 2017 Project Haystack Announces Keynote Speakers; EasyIO World Conference, Manchester United, UK, Early Bird Tickets now available; CABA’s upcoming Intelligent Buildings & Digital Home Forum in Silicon Valley; Stromquist’s Tim Chamblee Valve training; Eric Kreuter explains KMC’s SimplyVAV; Siemens’ Talon Building Controls Systems overview; and Ken Sinclair’s April edition of Automated Building. Honeywell Announces Release of WEBs-N4.2.36.38. Honeywell is pleased to announce the release of the WEBs-N4.2.36.38 software that is packaged with Spyder, Stryker Venom and BACnet FF Tstat programming tools. 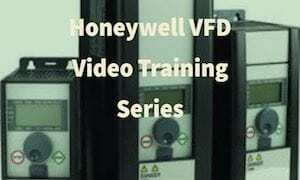 Main Features: * This is a packaged release with Honeywell tools within the Niagara N4.2.36.38 software build. * This release Fixes software issues after the release of WEBs-N4.2.36, including the CCN driver issues. * There is no cost to upgrade for existing N4.x users. However for other users of AX (3.8 and below) software, please use SMA part number to upgrade to N4.x software. Project Haystack Announces Keynote Speakers and Technical Program for Haystack Connect 2017 Conference. This year’s conference will bring together industry leaders, end-users and corporate representatives involved in automation, control and Internet of Things applications to share the latest techniques for managing, presenting and analyzing the vast amount of data generated by today’s smart devices and equipment systems in applications including intelligent buildings, energy, HVAC, lighting, remote monitoring, and other smart-device applications. Rita H. 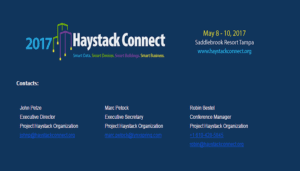 Wouhaybi,Ph.D., and Milan Milenkovic are the Keynote Speakers for the third biennial Haystack Connect Conference 2017 beginning May 8, 2017 at the Saddlebrook Resort Tampa. Congratulations to Roger Rebennack! The “most exciting man in the controls industry” and our friend Roger Rebennack is moving on from Honeywell to become the CEO of Jackson Controls in Indianapolis. Roger has been at Honeywell for 30 years and spent time in the Alarm Monitoring Security & Fire division, the HBS Branch Division, Environmental Controls Division and at Tridium. Rog will bring his skills and passion to Jackson Controls, who is the Honeywell Indiana Authorized System Distributor (ASD) and has been a HVAC controls distributor for 40 years that handles Honeywell, Vykon, Johnson, Belimo and Tridium. EasyIO World Conference, Manchester United, UK, May 21, 2017 — Early Bird Tickets for EasyIO Global Conference now available! Our Global EasyIO Partner Event in Manchester (UK) is coming up May 21-23, 2017. The conference will unveil and officially release awesome new products and features — to further enhance building and energy solutions for all types of buildings. Consider this is your official invitation! EasyIO is changing the way building automation is deployed and is also reducing the cost. This Global Partner Event will unveil and officially release awesome new products and features to further enhance building and energy solutions for all types of buildings. 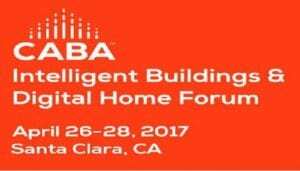 CABA Intelligent Buildings & Digital Home Forum — April 26-28, 2017 in Silicon Valley. Attend the CABA Forum — this April 26-28, 2017 in Silicon Valley, and learn about the latest research in our industry from the many research analysts and research firms attending. Industry thought leaders will be providing their insights during the many technical panel discussions and during the four (4) connected home and intelligent buildings research workshops. 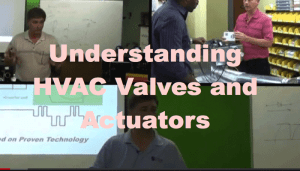 Everything You Wanted to Know about Control Valves… but were afraid to ask. Valves, Valves everywhere. If you work with Building Automation or Smart Building Controls or do HVAC maintenance in buildings you cannot escape control valves. 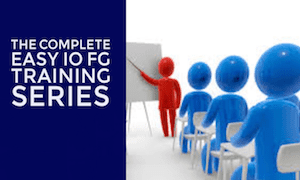 Join Stromquist & Company‘s master trainer Tim Chamblee as he trains control pros on everything they need to know about control valves. If you are interested in attending one of Tim’s classes call Nancy at 800.241.9471 and ask for a schedule. The Easy Way to Do A VVT Retrofit. Variable air volume projects can represent tremendous opportunities for contractors serving commercial and institutional customers. But even in today’s world of open system communications, digital VAV projects have been unnecessarily complex. Until now. 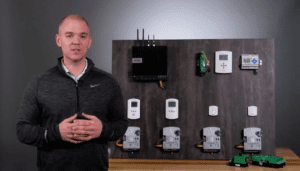 Watch as Eric Kreuter explains SimplyVAV, KMC’s digital product that fits that universal replacement need and does so in a fashion that is nearly as straightforward as that old thermostat. It is, in fact, your ticket to today’s digital VAV project marketplace. Siemens’ TALON Building Control System – Making the Most of Your Building Investment. Today’s buildings are becoming increasingly complex. Building automation systems don’t just control the basics. They regulate airflow, monitor energy use and are being called upon to integrate with security, lighting, and other systems throughout buildings to deliver comfort, safety and energy efficiency. Choosing a TALON® system can help you get the most out of your building, today and tomorrow. 2016 ControlTrends Awards Highlight: The Young Guns. 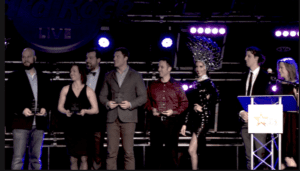 ControlTrends is extremely proud of the Young Gun Awards and what we believe to be another important industry initiative to draw young talent to our industry. There is no better way to enhance the image of the HVAC Industry than recognizing young professionals — who, early in their careers, have already made an important contribution or significant impact within their organization — that serves well as career role model. 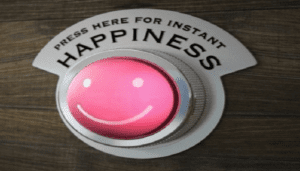 Ken Sinclair’s Automated Buildings April, 2017 Theme: In Search of the “Make Me Happy Button” – Claiming our Piece of the Productivity Puzzle. Most of us see that the forces driving much of our industry are changing faces, morphing from the owners’ countenance to the occupier’s smile or frown. The seriousness of these new metrics, criteria, and occupant feedback cannot be underestimated. In this April edition of Automated Buildings, Ken Sinclair, owner and editor, continues his elucidation on this most worthy topic. 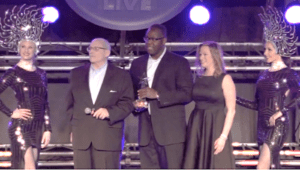 The Belimo Energy Valve Wins Energy Savings Solution of The Year. The Belimo Energy Valve was awarded the 2016 Energy Savings Solution of the Year the 2016 ControlTtends Awards. This is not the Belimo Energy valve’s first win in this category, having won in 2014 and 2015. This unique control valve combines the Belimo pressure independent flow strategy with a supply and return temperature sensor which allows the valve to control off of Delta T. Not only do you have BTU data but you can gain an additional 20-30% energy savings. Well done Belimo. 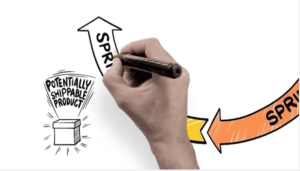 What is Scrum and Why is it Important? In Ken Sinclair’s April issue of Automated Buildings.com. Brad White from SES Consulting answers this question in a very timely article called Cope with the IOT Revolution by Staying Agile. I encourage you to read this article to understand the importance of this video and why Scrum might be the tool you need to keep up with the Smart Building IOT revolution. 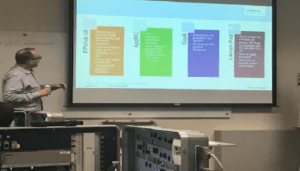 Richmond, Virginia, March 23, 2017 − Project Haystack (www.project-haystack.org), a non-profit, 501(c) organization focused on developing common standards to streamline the interchange of data among today’s smart devices, systems and equipment, is pleased to announce the Keynote Speakers and Technical Program for the third biennial Haystack Connect Conference 2017 beginning May 8, 2017 at the Saddlebrook Resort Tampa. This year’s conference will bring together industry leaders, end-users and corporate representatives involved in automation, control and Internet of Things applications to share the latest techniques for managing, presenting and analyzing the vast amount of data generated by today’s smart devices and equipment systems in applications including intelligent buildings, energy, HVAC, lighting, remote monitoring, and other smart-device applications. • Rita H. Wouhaybi,Ph.D., a System Architect in the Industrial & Energy Solutions Division of the Internet of Things Group at Intel®, will make her Keynote Presentation on “Beyond Buildings: Data Models and Project Haystack”. • Milan Milenkovic, a Principal and founder of IoTsense, will make his Keynote Presentation on “IoT Semantic Interoperability and Project Haystack: The Beginning of a Beautiful Friendship”. The importance of IoT interoperability is widely acknowledged and touted by standards and vendors. Mr. Milenkovic will present his thoughts on the pragmatic path to achieving IoT data and meta-data interoperability in the world of competing IoT standards, and what role Project Haystack may play in that process.